Before, this Dublin, Ohio, kitchen had the look of the early 1990s and was in the need of some TLC. 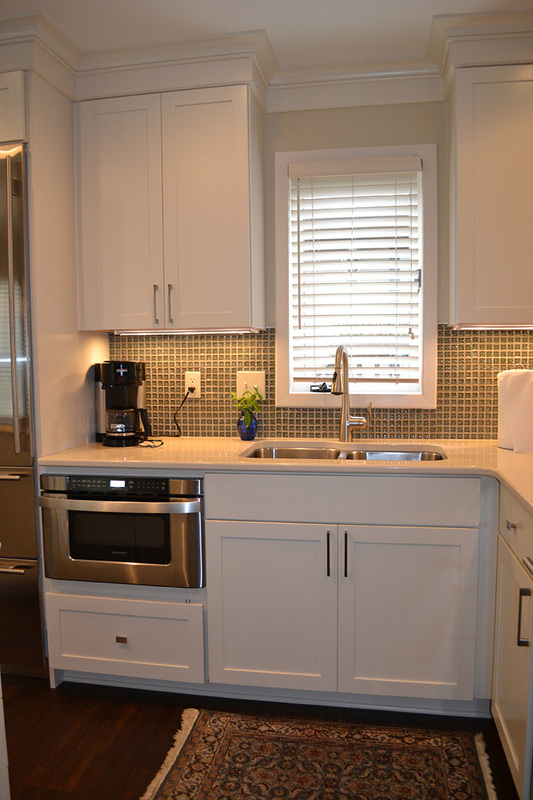 The white cabinets with light wood trim and linoleum floor were begging for an update. With the help of Kraftmaid's Lyndale style countertops in maple canvas, the kitchen now has a clean, crisp white look to it. 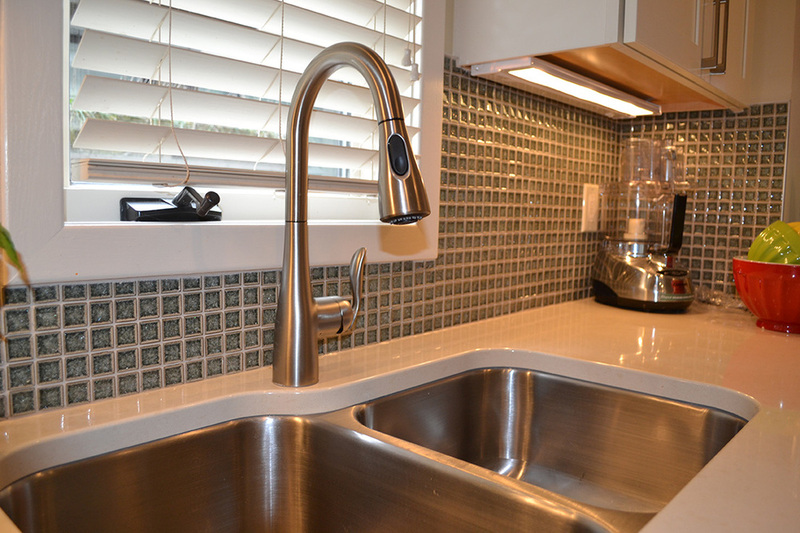 The countertops are Cambria Quartz in Cuddington. The appliances are a SubZero 700 TCI refrigerator, a Jenn-Air downdraft cooktop, a Dacor single oven, a Sharp microwave drawer and an Asko dishwasher.